Resumo Vigor 3220N series is a load balancing router that has four Gigabit Ethernet WAN ports, there is also one USB 3.0 port which can work with 3G/4G/LTE USB modems to add additional wireless Internet connectivity. With multiple WAN access and high NAT performance, Vigor3220 ensure a reliable Internet connectivity for a network that has around 200 hosts. 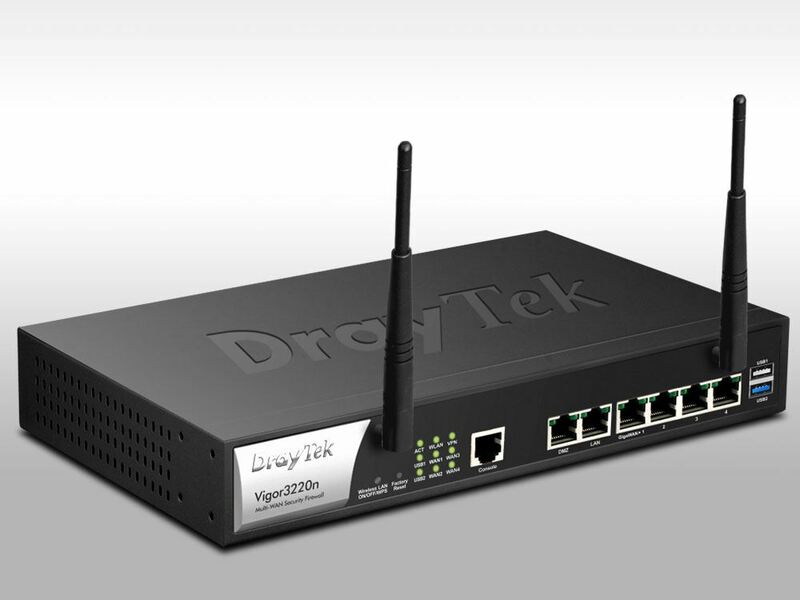 The Vigor3220N series also offer enterprise-level features including VPN, Firewall, Content Filtering, and Central Management Solution for Vigor access points, which makes it the perfect network solution for a medium-sized business, especially for those based in multiple locations or have teleworkers.